Capital initiatives in our SIN BEAM were co-funded by the European Regional Development fund & Enterprise Ireland under the Border, Midlands & West Regional Operational Programme 2014-2020. 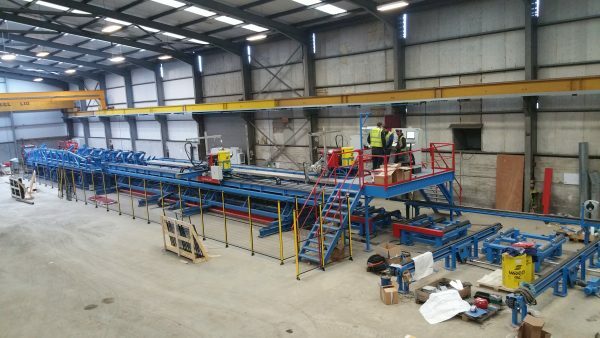 Irish-based Kiernan Structural Steel (KSSL) has installed a fully automated production facility for welded plate girders with sinusoidal corrugated webs. Known as the SIN system, the production technology has been imported from Austria. 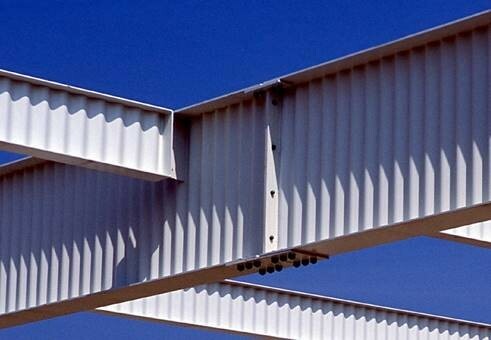 The product, SIN beams, are said to combine large spans that are very light weight. Having started production, KSSL said it is now able to supply the beams to customers in the UK and Ireland including steel fabricators. The depth of sections varies from 350mm up to a maximum of 1,580mm, with a 400mm maximum width of flange. Sinusoidal corrugation of the web is standard no matter the depth or the width of the beam. On a traditional portal frame the main advantage is that it can eliminate the need for a having to cut & weld haunches which can provide significant manufacturing cost savings when it comes to making roof rafters. The Sin Beam machine consists of a de-coiler, longitudinal splitter with roll-forming unit, flange plate intermediate-storage & in-feed, assembly and welding station, as well as beams conveyors. The welding process is automatically executed by two welding robots. 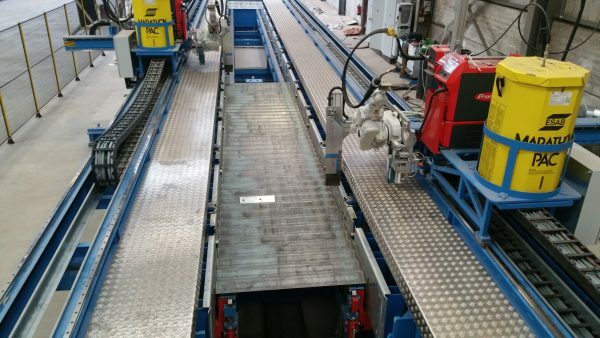 For the precise welding line, the surface of the corrugation is scanned by the robots using laser sensors. To minimise the impact on the environment the SIN beam system is a green solution as the SIN beams are manufactured with steel plate that require less energy during manufacturing process compared with large rolled steel sections. Also the overall tonnages of steel required are much less. This ties in well with our company’s ISO 14001 environmental management system objectives.